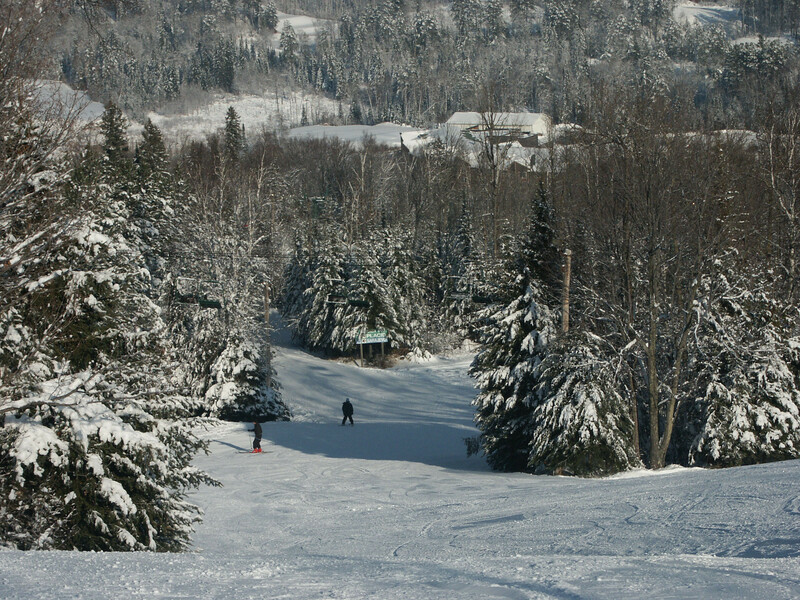 Giant's Ridge Resort, located in Minnesota's Iron Range northwest of Duluth, is one of the Gopher State's biggest golf and ski resorts. Residents are proud of its reputation as "America's Icebox." The ski resort boasts a 1,792 foot summit elevation, as well as a 7,000 person uphill capacity. The 35 trails that soar off the rocky crest offer some of the best cruising runs around the Great Lakes. Giants Ridge has an intermediate and beginner terrain park as well as a Children's sledding area and sliding hill. The Giant was first developed as an Olympic training site with World Class cross country trails, and the trails are still maintained to Olympic quality standards. Rentals and lessons available. About ten restaurants located nearby. Some great ethnic food can be found at restaurants in the many little towns that dot the region. The Whistling Bird in Biwabik is truly outstanding and very unusual. How othen do you find Jamican quisine on the meat-and-potatos Iron Range? Get Snow Reports, Powder Alerts & Powder Forecasts from Giants Ridge Resort straight to your inbox!